As technology takes over the manufacturing and distribution systems of the world, mining isn't exempt from drastic changes either. Mining giant Rio Tinto , for example, was one of the first to fully implement automation into their operations, something the organisations started back in 2008 with their programme "Mine of the Future". Now, productivity and safety have reached new heights with their driverless trucks at their Pilbara mines. Let's take a look at what exactly motivates Rio Tinto's investment in this particular technology and what the tangible benefits are. The Mine of the Future programme has four key elements. As the mining industry's growth slowed, Rio Tinto began to actively advance the ways minerals are extracted in a more environmentally friendly and safe manner. Driven by this quest for better approaches, the Mine of the Future programme has four key elements. First, the operations centre in Perth is set up to enable the company's mines, ports and rail systems to be controlled from a single location. Visualisation and collaboration are key components in the effort of improving processes. Second, after trials of an automated drilling system were successful in 2008, Pilbara operations are seeing the increasing deployment of the more effective technology. Third, improving output capacity is at the heart of the AutoHaul project, which, once fully operational, will be Rio Tinto's first fully-automated heavy haul, long distance railway system. Fourth, the introduction of an autonomous haulage system has seen 69 driverless trucks move high grade ore at the Pilbara sites and has put the company at the forefront of technological advancements. The mining industry can benefit from automation. 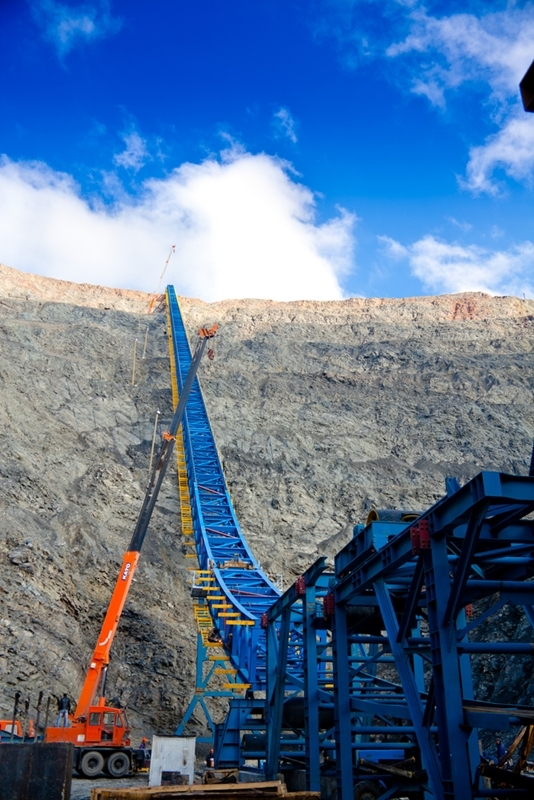 The iron ore operation has been turned around thanks to technological investments. The early adoption of autonomous equipment has increased output capacity, according to Michael Gollschewski, managing director of Rio Tinto's Pilbara mines. "Our first mover advantage from developing our Operations Centre in Perth and implementing autonomous technology has been instrumental to our continued success […] tied in with the other productivity improvements we have made, this technology is game changing," he suggests. Major investments have paid off as the new technology has reduced hazard exposure, fatigue-related incidents and risks associated with operating heavy equipment among other previous safety concerns, according to Josh Bennet, who is the Yandicoogina mining operations manager. Additionally, the autonomous truck fleet has continuously performed nearly 15 per cent better than the manned fleet and reduced operating costs by nearly 13 per cent. At SRO Technology we understand this need for constantly ensuring your equipment is up to scratch, offering everything from mining equipment repairs to advice on the best new technology you should go with. Reach out to us to talk about how we can help your operations.